Using appropriate packaging materials for shipping or storage is a no-brainer for anyone concerned with the security of products being transported or stored. In addition to the disappointment of opening a package to find damaged goods, poorly packed items result in extra costs to both buyers and sellers. Foam is one packaging material that can help ensure a good is in the same condition coming out of its box as it was going in. But for certain products, standard foam may not provide full protection. When it comes to packaging electronics or sensitive instruments, The Foam Factory manufactures Anti-Static foam materials that dissipate electro-static charges, keeping delicate components safer than traditional materials can. Electro-static charges are present everywhere and can be easily generated through simple friction or movement. Electrical storms can charge the air and simply walking across a carpeted floor or getting out of a car can create static electricity as well. The presence of these charges mean accidental damage to electronics is a very real possibility. Given the effort and materials required to make certain products, a charge damaging or destroying a component can cost hundreds or thousands of dollars. The electro-static dissipation of Anti-Static foam products can help reduce this damage potential. The Foam Factory offers Anti-Static foam in both polyurethane open-cell and polyethylene closed-cell types to suit any packaging needs. In addition to the materials themselves, The Foam Factory also offers custom cutting in individual or bulk batches to form the foam to the precise measurements of the product that needs protection. The pink foam color lets the packager know they are using the right materials and package recipients know appropriate measures were taken to safely send the product. Both varieties of Anti-Static foam have dissipative compounds added to their formulas during manufacturing for consistent, all-the-way-through performance. Charges generated by friction, neighboring components, the component itself or even human handlers are dissipated through the foam, preventing product damage. The Foam Factory makes their open-cell Anti-Static foam sheets available in thicknesses from ¼ of an inch all the way up to 40 inches thick, cut straight from the bulk form for special uses. Anti-Static polyethylene ranges from ¼ of an inch with the ability to laminate sheets together to any thickness. 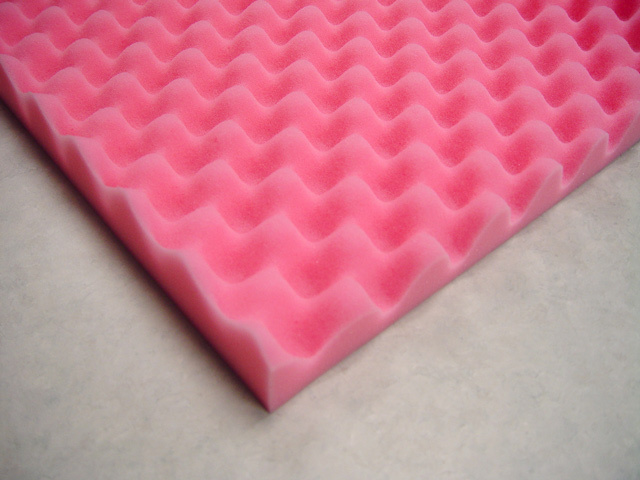 Open-cell Anti-Static foam has greater versatility than the polyethylene variety, and as a result, is offered not only in sheet form, but also in convoluted/eggcrate patterns and Pick and Pull Grid as well. These options allow for a 360 degree spectrum of security, customized to a product’s dimensions. The solid foam provides an absorptive base layer, Pick and Pull Grid a form-fitting security layer and the eggcrate a cushioning top layer that helps keep package contents in place. The lower density of open-cell Anti-Static foam makes it appropriate for the packaging design of smaller and lighter goods, like motherboards, circuit boards, wiring or computer accessories. 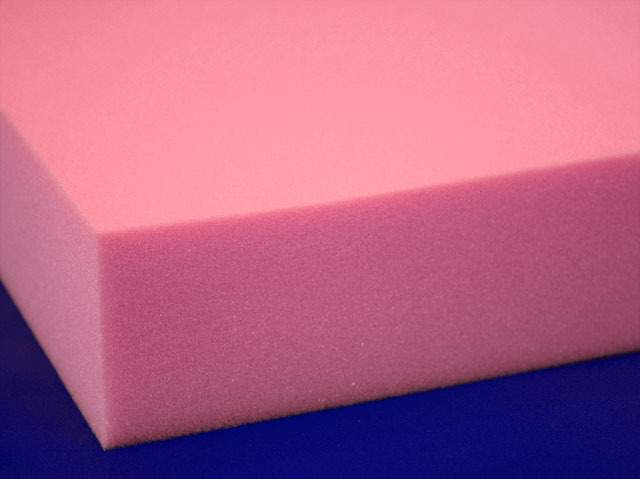 Polyethylene Anti-Static foam also has its electro-static dissipating compounds added during the formulation of the material, insuring the same consistency and performance of the open-cell variety. The greater structural rigidity and density of polyethylene makes it more durable, resistant to tears and able to handle greater loads than the open-cell variety. This is excellent for computer towers, sound equipment and product packaging for large or heavy goods. It also meets electro-static testing standard EIA 541 for decay, rating under two seconds, and satisfies surface resistivity requirements. In addition to electronic packaging and the storage of components, Anti-Static foam is also used in custom cases. Many people have form-fitting foam inserts for their laptops, camera case and test instruments, but while these help protect against physical damage from movement, there is still the potential for electro-static damage. Utilizing Anti-Static foam for custom case inserts provides the protection of traditional foam cushioning while preventing unpredictable damage to electronic components. The Foam Factory’s production capabilities allow them to create an Anti-Static packaging insert customized to an item’s dimensions for a safe, protective fit that minimizes movement and guards against charges. Removed portions of these foam products can also be split and placed back in the cutout area to form an elevated base for items or placed over them for extra protection. Whether done for cases or storage, these customized Anti-Static packaging inserts can be made singularly or in bulk runs of hundreds or thousands depending on the application. The mere presence of Anti-Static foam can also benefit manufacturers and retailers of electronic equipment. A simple note included along with a product being delivered can explain what the pink material is and why it was used. This inclusion illustrates to customers that you and your business are taking every precaution to provide high-quality goods, which builds customer confidence. Anti-Static foam is an invaluable material for the preservation and transportation of delicate electronics. It’s easy to protect products against things we can see or control, like rain, heat or being dropped. Electro-static charges are much harder to be aware of however, despite their constant presence in the world around us. With The Foam Factory’s safe packaging Anti-Static foam materials, you can get a degree of control over those as well, protecting your investments, merchandise and belongings in a way other materials can’t.